Selling your stuff is one great way to make cool cash and it is obvious that the internet has become an exciting platform that makes this a reality. One interesting thing is to meet financial targets while another is to earn a decent amount of bucks while plying your trade online. Dozens of people have capitalized on the benefits of selling stuff online and with the vast popularity of the internet, it is pretty certain that many of these benefits will be tapped in years to come. Buying and selling online is damn intriguing because you’re sure to meet up with a huge audience that might be ready to do business with you in one way or the other. Many people get worried over the stuff that has cluttered their closets, wardrobes and even the entire household. This stuff may range from second-hand electronics to jewelry, clothing, musical instruments and probably some gaming consoles that have long been abandoned. Prettily, it’s easy to get rid of these items and earn some cool money in return. 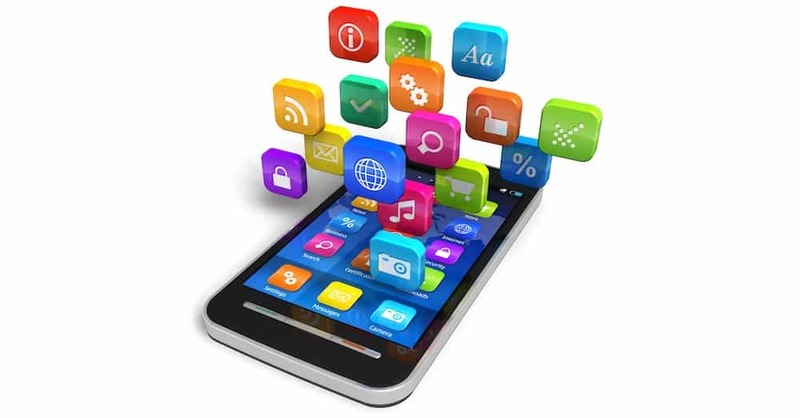 All you need is to get some of the online buying/selling apps downloaded to your smartphone and have such items listed to thousands of interested buyers. This very article broadly discusses the Best Buying and Selling Apps for marketing your new and used Stuff Locally and Online. Some of these apps charge you certain fees while several others let you sell stuff without sacrificing a single penny. Just have a fun review of all the apps and see which one suits you best. 5miles is a great buying and selling app to use. It features a pretty amount of buying categories (including Car parts, Cell Phones, Jewelry, Furniture and many more) and offers you the chance to share your listings to social networks like Twitter and Facebook after registering them on the app. 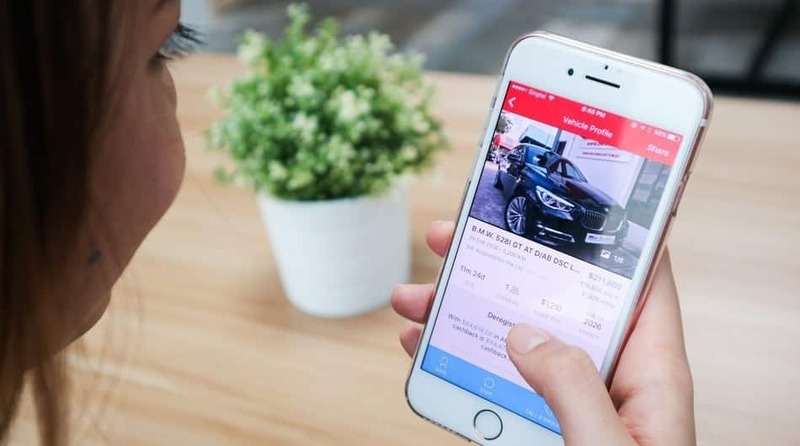 5miles is easy to use for both buying and selling purposes and one more interesting feature of the app is that it doesn’t charge you for selling or listing items. As a plus to that, you get the chance to make listings for jobs, local services, housing and garage sales. On OfferUp, listing and selling stuff is plain interesting because you don’t pay a single dime. If you don’t want to compete with too many sellers, then you could give OfferUp a try. Not only does OfferUp allow you to sell stuff freely online, the app also features an organized layout with a decent array of categories including Games, Furniture, Cell Phones, CDs, Crafts, Antiques, Clothing and few others. Looking for a popular app to sell your stuff online? If yes, look no further because Amazon has what it takes to serve you best. The Amazon Seller Marketplace is a resourceful app devised for buying items online. You could use the app whether you’re planning to resell items or trade in some used stuff. Put simply, the app features a decent amount of categories and it’s damn certain that you would find the category that suits you best. However, unlike LetGo, Amazon charges you for listing and selling items through its Amazon Seller Marketplace. Quite frankly, you shouldn’t bother about this because Amazon’s great popularity will expose your stuff to thousands of buyers and this, of course, will compensate you for any selling fee you give up. Poshmark is a pretty selling app that charges you fairly to sell stuff online. The app is best enjoyed by the fashion-oriented people who would love to attract online buyers for stuff like shoes, jewelry, men’s clothing, handbags and women’s clothing. Importantly, Poshmark has a “search’’ bar that lets you decide your shopping targets –such as kids, men or women. One sure reason why you would love to use Poshmark is that the buying app features Posh Protect –a facility that makes sure you receive in-time payment for the stuff you sell and that you don’t buy fake items. Are you looking for an online selling app for your gadgets like iPods, iPhones, and gaming consoles? If yes, I guess Decluttr is your go-to place for trading in stuff especially used gadgets. The most important thing to bear in mind is that Decluttr is not linking you with prospective buyers. Rather, the app purchases your stuff and resells them. All you need to sell your tech stuff to Decluttr is visit the site and submit the ISBN of the item you’re willing to sell. When the site offers the price it can afford to buy such an item, you can then choose to accept or decline it. Using Decluttr for selling stuff online is pretty fascinating but the downside to this is that the site limits the number of items it purchases from you. OLX is very popular and myriads of people have enjoyed using it as a buying and selling app. If you’re looking for an online app that connects people to buy or sell stuff locally, OLX is definitely worth considering. Interestingly, the app doesn’t charge you for selling or listing stuff. More so, you could be open to listings coming from various countries like Portugal, South Africa, India, Philippines, the United States and so on. This app is an exciting platform for anyone wishing to sell their stuff – used textbooks to be precise. The app is quite similar to Decluttr in the sense that it lets you input the ISBN of your stuff (i.e., your book) and offers the price it can afford to buy it from you. Cash4Books is a pretty sure platform to get any type of book sold but the downside to its use is that you could have to wait for almost 2 weeks to get your PayPal account credited after clicking the “Sell my books” option on the app. This is a great online app best suited for anyone wishing to sell or buy ornamental stuff including décor items and vintage furniture. Trove Marketplace lets you buy and sell locally but you must bear in mind that the the sale of items attracts a certain fee. The major downside here is that the app is not so popular. LetGo is one of the interesting buying and selling apps you can find online. The app is best enjoyed because it tracks your location in order to buy or sell stuff online. And the good thing about this is that you’re guaranteed the convenience of buying the items that are trending in your location. Quite frankly, the app is free to use as you don’t pay a single penny to buy items or list the stuff you wish to sell. Of course, this is a proof that LetGo is one of the great buying and selling apps you could use in place of Craigslist. What more? LetGo guarantees you the ease to buy or sell a broad variety of items including cars, accessories, electronics and lots more. Mercari is one sure selling app you should have especially if you’re dealing with a variety of items including pet equipment, travel items, vehicle parts, musical instruments, beauty products and lots more. Interestingly, Mercari’s sale services cover the entire 50 states of the US, making it convenient for you to capture buyers for stuff. Seemingly, the only downside to Mercari is that you will be charged a selling fee which equals 10% of the price at which you’re listing your stuff. Quite frankly, the site doesn’t charge you any fee for listing your stuff. Dealo is self-identified as a secure and quick way to sell or buy stuff online. Only a little information can be given about the app because you aren’t going to get detailed information about fees and where its users come from. Put simply, the site is not as popular as others but you could spare as little as 30 seconds to do registration, buying or listing. Head to the ios app store and download the app today and start making money selling your unwanted items. The internet houses an imposing array of apps that let you sell and buy stuff online without having to pay a dime. Excitingly, Carousell is just one of these apps as it helps sellers and buyers locate each other on a free-of-charge basis. One unique feature of the site is that it organizes groups of buyers and sellers who have common goals. With its beautiful lineup of categories, you’re sure to meet online buyers and sellers of items including textbooks, musical instruments, crafts, bicycles, beauty products, household appliances and lots more. Chairish is an online app that makes the sale of used items a lot easier. Interestingly, the app features listings ranging across categories like Lighting, Rugs, Décor, Art & Mirrors, Outdoor and Furniture. Seriously, Chairish is worth giving a try as you could experience all-time customer service support plus the privilege to have 80% of the price you sell your stuff after listing it. This is quite rear among many other apps of its kind since you don’t pay any listing fee and 80% of your sale price belongs to you. Whether you’re planning to sell stuff within or beyond your neighborhood, Chairish is a great app to have most especially if you have hundreds of household art accessories to trade in. Wallapop allows you to sell your items through its local classified ads which can be used freely. An easy-to-use platform, Wallapop is typical of other classified apps and it helps buyers and sellers connect with each other to trade locally or ship stuff. Put simply, the app gives you the chance to create a brief description of your stuff and indicate the price you’re offering for its sale. This app is quite similar to Craigslist in the sense that listing and selling come on a free-of-charge basis. What more? You’re open to buying or selling stuff ranging across various categories like Entertainment, Men’s Apparel, Automotive, Sports & Fitness, Education, Music, Antiques, Electronics and few others. More interestingly, SocialSell is very popular with scores of its listings spanning many cities in the United States. Vinted is a pretty app that connects buyers and sellers with each other for the purpose of trading in used stuff. The app features an exciting array of categories including Kids, Beauty, Men’s Items and Women’s Clothing, Shoes and Accessories. Listing and selling are absolutely free but you will be required to own a user profile for security reasons. This, of course, isn’t a strange thing because several other selling sites require users to do so. If you’re willing to sell stuff locally online, it’s pretty easy to establish physical contact with your buyer but if your buyer is far from your location, you may have to ship the stuff to them and receive the payment through PayPal. There are hundreds of listings on Depop and one could enjoy the ease of selling or buying stuff without charges such as commissions and selling fees. If you have a strong knack for trading in vintage items, this app is one sure way you could magnify your online trading experience. Depop is a user-oriented app and if you take your time to browse through it, you’re sure to find myriad listings on accessories and clothing. Tradyo is a great online app that connects people for selling and buying stuff locally. When you browse the site, you’re bound to find a variety of categories including Health and Beauty, Free Stuff, Clothing, Bikes, Services, Music and lots more. Apparently, the app is based in Europe but you could find myriads of its listings in major American cities. One major benefit of using Tradyo is that you don’t pay any fee to list your stuff. As a plus to that, there is an instant chat for associating with likely buyers. There are lots of online selling apps and one great app that lets you sell your stuff locally is Varage Sale. Would you like to trade with people in your locality? If yes, Varage Sale will serve you right with a “search’’ bar that lets you locate your shopping target easily. Of course, the site is damn interesting because it tends to locate your neighbourhood and show you the items within it. Whether you’re a buyer or seller, bear in mind that Varage Sale requires you to register with your email or Facebook account for the purpose of verification. And what more? The app requires no selling fees. And you could have your listings ranking among popular listings without paying a single penny. With Shpock, selling or buying stuff locally becomes a lot easier. The selling app connects you with local buyers easily and the most interesting thing is that no fees are charged for listing or selling stuff. All you do is get the app, appear online and look around for likely buyers. Quite frankly, the app makes it convenient for you to communicate with others for buying or selling stuff online. This app is quick and easy to use. Meanwhile, its download site claims it is the “easiest way’’ you could offer your items for sale. Worthy of note is that Pxsell lets you meet people in your locality for selling and buying concerns. And the good side of using the app is that no fees are required to list or sell stuff which range across various categories like Antiques, Clothes, Recreation, Books, Electronics and many more. Using the app is damn simple. All you do is capture a photo and then provide some details to get started with your listing, buying or selling. For the purpose of safety, buyers and sellers need to create profiles. Craigslist is a great app with the potential to connect you with a huge number of buyers. It is actually the same as the normal Craigslist site which introduced the online classified trend. In terms of heavy features and convenient use, Craigslist might not be the best selling app but its huge population of users is a proven chance to meet the largest possible number of buyers you can think of. And as pretty as it is, no fees are required for item listing or to get your stuff sold to buyers. Close5 might not compare many other selling apps in terms of audience but the app has got the potential to magnify your trading experience especially if you are in a metropolitan area. You may have used Close5 some time ago possibly when it was known as “Ebayclassifieds’’. Prettily, the app does have a broad variety of listing categories including Antiques, Automobiles and Household Goods. eBay is a great buying and selling app and its listing is more efficient than that of the normal eBay site. Without doubts, listing is free on the app but one of the downsides to using eBay is that you still pay after the sale of an item. Some people often think eBay is only suitable for selling stuffs meant to be transported to faraway buyers –probably those in foreign countries –but it’s pretty fascinating that you could use it for listing stuff meant to be sold locally. Likewise, eBay is very good for targetting clumsy items at local buyers. Such items could be bulky gadgets or cumbersome furniture that your buyers would have to appear in person to obtain. Most importantly, eBay is so vast a selling platform and the fact that it’s been saturated discourages some people from listing on it. Probably, such people do not want to compete with too many sellers. Not only does Facebook seem to be the world’s biggest social network, it also facilitates the online sale and purchase of stuff. Considering the massive audience on Facebook, anyone would love using the app to boost their online trading activity. And how do you start selling on Facebook? It’s pretty simple to use Facebook’s “Buy and Sell Groups’’. All you do is enter the “Explore’’ menu of your Facebook account and tap the “Buy and Sell Groups’’ option. Doing this will show you a host of groups nearest to your location. Meanwhile, it’s possible to use the search bar in finding your current city or the group in your region/state/county. If you’re bent on using Facebook for buying or selling stuff online, bear in mind that you must have become a group member through the “Buy and Sell Groups’’ feature discussed earlier. Bookoo is an app with great potentials and it is pretty much suitable for lovers of yard sales. Meanwhile, the app website lends credence to this. Putting it simply, Bookoo is a half social media and half classified network. It gives room for buyers and sellers to interact socially, set up user profiles and friend one another. Moreover, it is pretty popular with boards across many states in the US. The buying-and-selling trend on Bookoo is very social and friendly. Your profile creates another listing for the other items listed by you. This, of course, makes it convenient to reach out to those who are willing to buy two or more items. The good side of this is that you tend to make extra sales. Instagram is an exciting selling app to have especially if you’re an avid user of social networks. Not only does Instagram let you magnify your fun moments, it also serves as a great platform for selling stuffs locally. Would you like to give it a try? Doing this requires you to snap a picture and attach a brief product description to it. You will also have to attach the price you wish to offer the stuff for sale. Truth be told, dozens of small businesses have taken advantage of Instagram to boost their online selling campaigns. Do you need a decent online selling app to capture buyers for your used stuff like pets and vehicles? If you believe Recycler features among the first category of online classified apps, that means you’ve got a whole lot of chances to attract quick buyers for your used stuff. California is home to most of the item listings you will find on Recycler. Considering this, you may have to reside in a large city probably a major metropolis. Zaarly is quite strict if compared with the other selling apps on this list. The app is no doubt a good platform to sell stuff locally but one of its cons is that –at the time of writing this post –it doesn’t accept sellers from any city/region other than Minneapolis, Northern Virginia, Kansas City and Denver. Quite frankly, Zaarly maintains a stringent examination process that ensures all the services rendered are of top quality. Backpage is yet another online classified app with great popularity. Its use is best suited for anyone looking to sell stuff locally. Compared to several other online selling apps, Backpage might not be a fanciful app but the beautiful side to its use is that you’re sure to attract a reasonable number of buyers for your local listings. A pretty audience of buyers has been established on the platform already and this gives you the chance to make the best out of your item listings for potential local sales. Looking for the best online app to sell your pets? Look no further because Hoobly is the perfect option for you. Hoobly connects buyers and sellers for trading in many items but its users tend to focus a lot more on pets. The app is available for Android and iOS phones and listing items on it is pain-free. If you have an unbending knack for the sale of pets especially to those who would love to adopt them, several other buying-and-selling apps could serve you well but Hoobly is always the best destination for this. The app boasts a massive record in this regard and anyone who gives it a try should have the cause to smile. One of the most interesting things about Wish Local is that it falls into the exclusive category of selling apps that can be downloaded on Amazon, Apple, Microsoft and Android devices. If you’re thinking about using Wish Local, you’d be open to two different features. The first one allows you to use Wish Local in sourcing the most affordable price(s) offered by online retailers. In the other case, the second feature lets you purchase stuff locally and even list items meant to be sold to buyers in your neighbourhood. If you haven’t got an interesting online app for the sale of your car, that simply means you’re oblivious of this app. Putting it simply, Blinker outstrips any other selling app listed here as regards the sale of cars. Using the app is quite easy. All you need is to snap the rear of your car and let Blinker collect detailed information about the vehicle. Such information basically includes the color of the car, the transmission mode, the car brand, the BlackBook value and the engine type. With that done, you can then write a brief description of the car and attach the price you wish to offer it to potential buyers. Facebook Marketplace does have the potential of being your preferred online selling platform especially if it frightens you to trade with complete strangers. So far as your stuff is legal (in line with Facebook terms), chances are that you could list it for sale to likely buyers within your neighborhood. Such buyers could be your acquaintances, neighbors or some friends. Linger is an Android app that links you with interested people in your locale for buying or selling stuff. A great online buying/selling app, Linger is the secure facility for connecting with the people you trust to do online trading with. You simply purchase pre-used stuff or cleanse your home of your pre-used gadgets by selling them to the closest buyers somewhere around your neighborhood. Some of the pre-used stuff you could sell through the app includes sports items, household appliances, phones, antiques, musical instruments, furniture, computers, and cars. Listia is a lovely selling app available on Google Play and Apple’s App Store. As indicated in the app site, Listia embraces the idea of “give and get’’ i.e., you trade your used items in return for the ones you so much crave to have. The app boasts a massive following already and the app site reveals that there are over 10 million members. Quite interestingly, you don’t pay a fee for any transaction you make plus the app site boasts thousands of listings under various categories including Electronics, Collectibles, Computers & Networking, Video Games & Consoles, Crafts, Sporting Goods, Cameras, Books and lots more. Are you dying to sell a couple of musical instruments? Do you need a reliable online app for doing that? Verily, Reverb is the go-to app that serves you best just in that manner. The app is user-friendly and can be downloaded by users of Android and iOS devices. With Reverb, selling your stuff (such as your old gear, acoustic guitars and electric guitars) becomes a lot easier. On the app screen, you’re sure to find several options for meeting your selling or buying targets through your preferred `brand’, `country’ or `city’. The name “GameStop’’ readily portrays this app as a great option for selling your used gadgets such as PS3, Xbox 360, PS4, Xbox One and several electronics. More to that, you could trade in (or simply sell) various other items including accessories, tablets, and phones. One exciting thing about GameStop is that you might be allowed to trade in faulty gadgets but the downside is that such stuff would be lower in value. Like many other online buying/selling apps, GameStop is available for download on Google Play and Apple’s App Store. This app is pretty much reliable for the fashion-oriented people who would love to buy or simply sell their bags, clothing, wedding gowns, shoes, etc. The app site speaks of the maximum security guaranteed while buying or selling fashionable items on Tradesy. One more thing about Tradesy is that it refunds money to buyers if they’re not satisfied with the stuff ordered. If you browse the app site, you’re certain to stumble on various items plus the actual price each of them costs. Interestingly, the app is available to both users of iOS and Android devices. Best Buy is a reliable online app that helps you trade in your used stuff ranging across categories like Cell Phones, Computers & Tablets, Appliances, Cameras & Camcorders and TV & Home Theatre. The app offers an exciting way to transform your old tech items into the trending ones through trade-in bargains. Basically, the app site contains vital information that shows you what to click on to determine the worth of your stuff. If the worth is satisfactory, you could exchange that stuff for a gift card offered by Best Buy. There’s no doubt that the online sphere is an avenue to get your old stuff listed for sale to likely buyers. On the other hand, you could be dying to purchase certain stuff within your neighbourhood. And to save you the stress of looking around for likely sellers, the internet has got to offer you plenty of apps that simply connect you with online sellers within and beyond your location. As shown in this piece, here are plenty of smartphone apps out there that offer all you need to make buying or selling online hassle-free. Make your pick and start making extra cash when you sell your stuff or buy at cheaper rates by using any of these top apps.